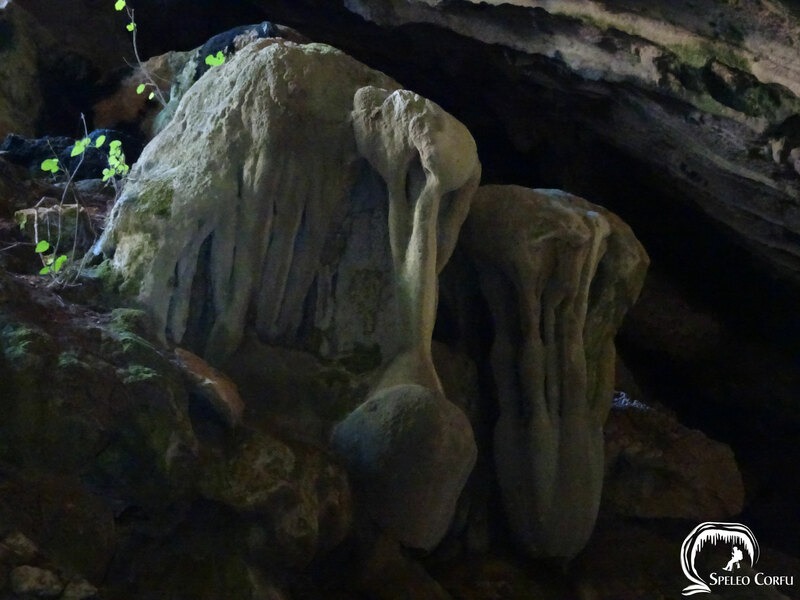 Megali Grava Loutson cave - Website about caves on the island Corfu. 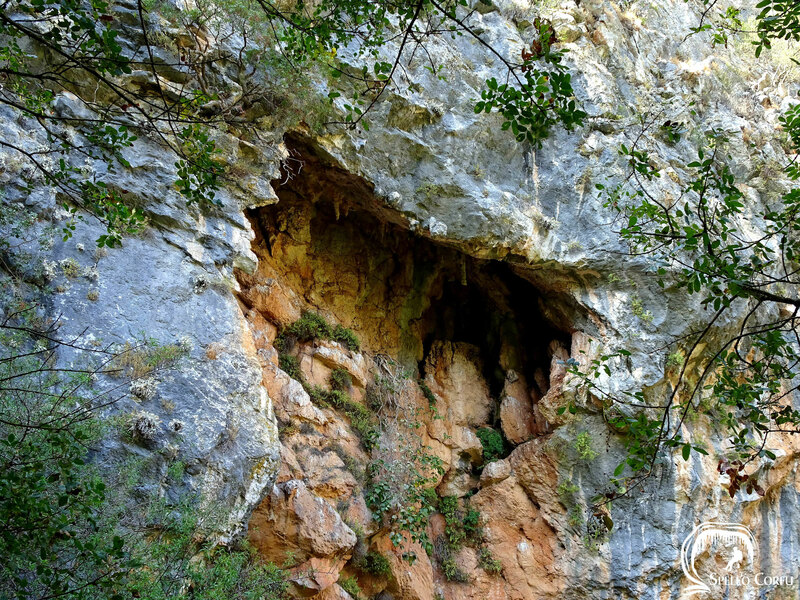 Megali (Ano) Grava Loutson cave also called the Big Upper cave or Peristerograva (Cave of the pingeons) is situated near the village of Loutses at an altitude of 478 metres. 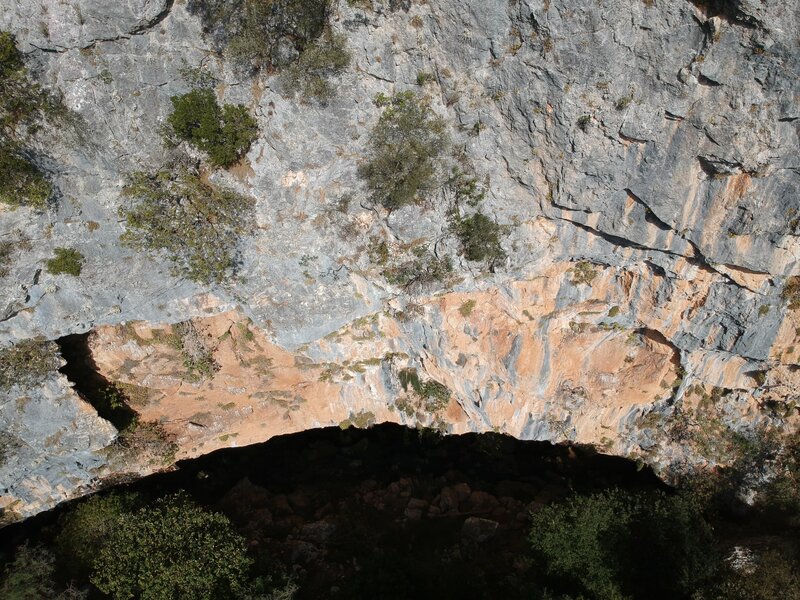 After a steep descent alongside imposing vertical walls, you'll reach the entrance of the cave. The path requires extra attention in winter due to slitheriness. 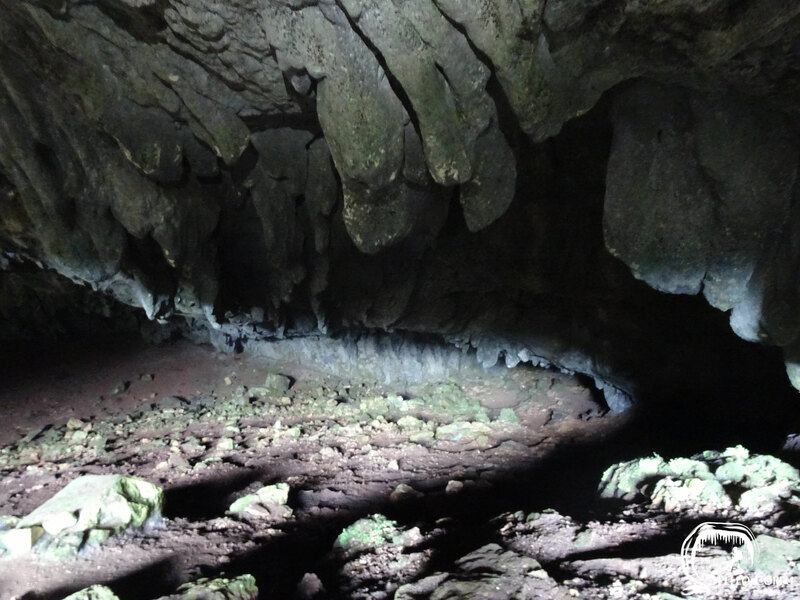 Inside the cave the surface is completely flat and the roof is full of geological formations. 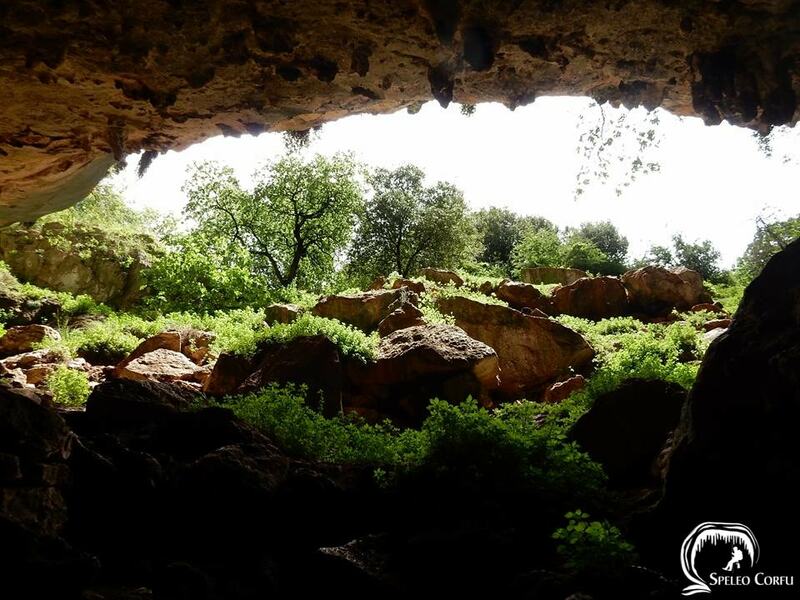 If you are inside the cave and look up to the opening of the cave from where the sunlight enters, you will be impressed by the sense of isolation and serenity this dark cave offers. 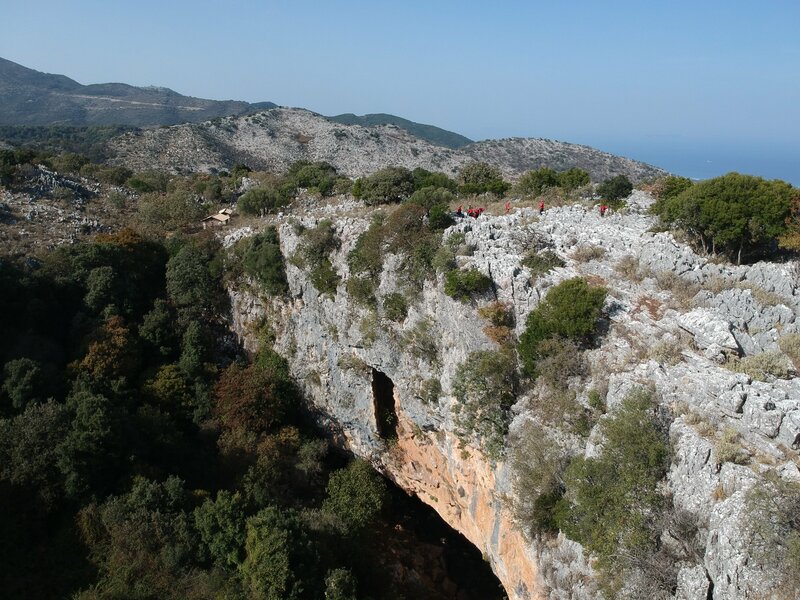 The entrance to the cave is 70 metres wide and approximately 60 metres high. 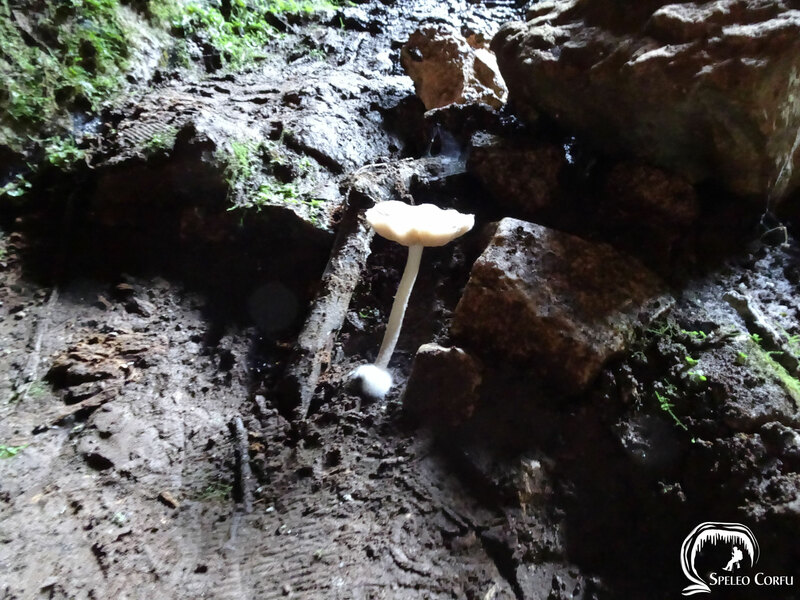 Just behind the entrance you'll find the main room of the cave, 100 metres long, 70 metres wide and approximately 60 metres high. 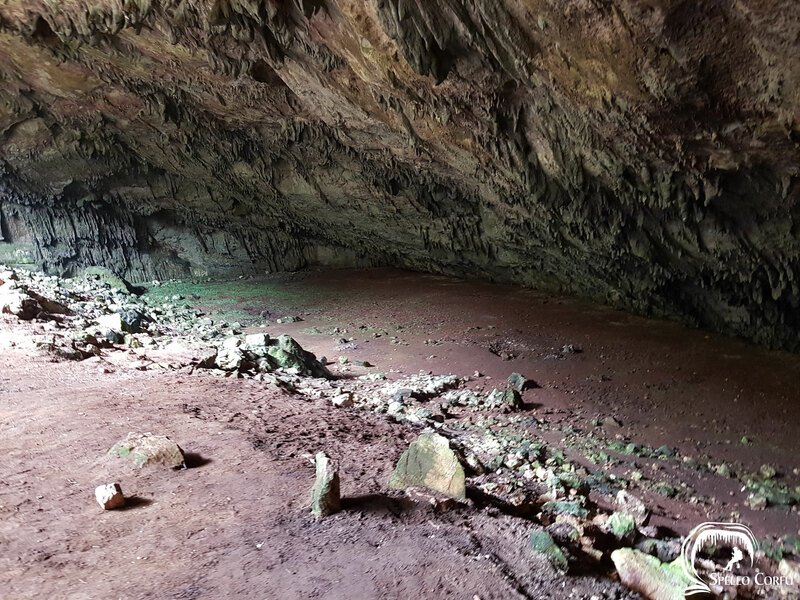 On the left, two small corridors are located between the entrance to the cave and the horizontal floor of the main room. 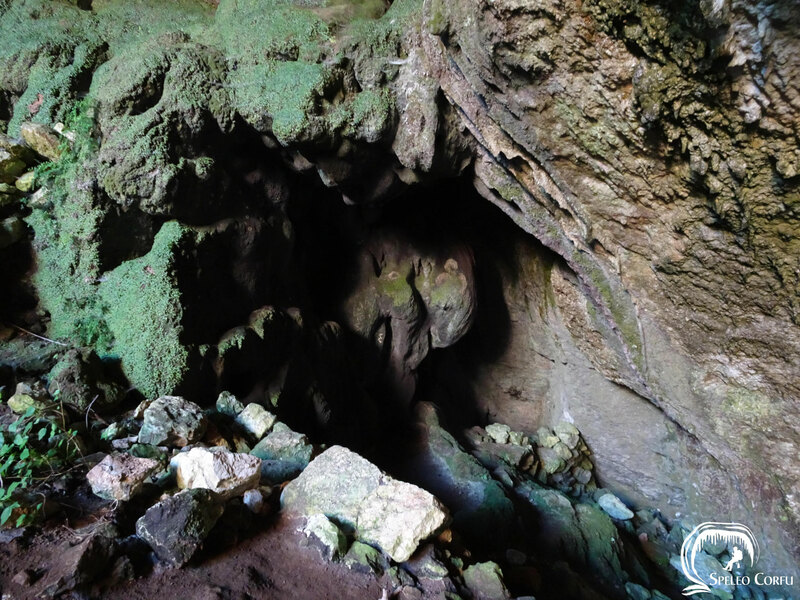 The main color in the cave is green. 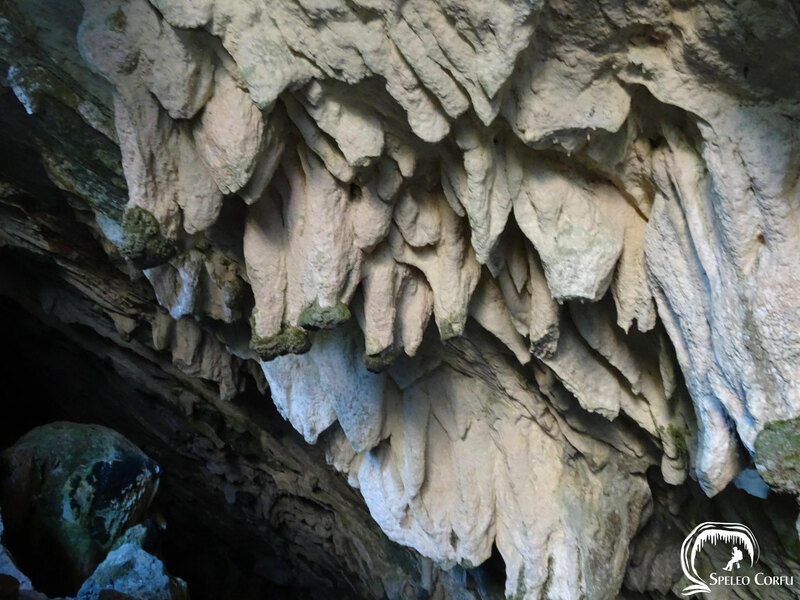 On the left side of the cave you'll see two columns, also called 'The white stalactites', 20 metres long, 3 metres wide and approximately 3 metres high. 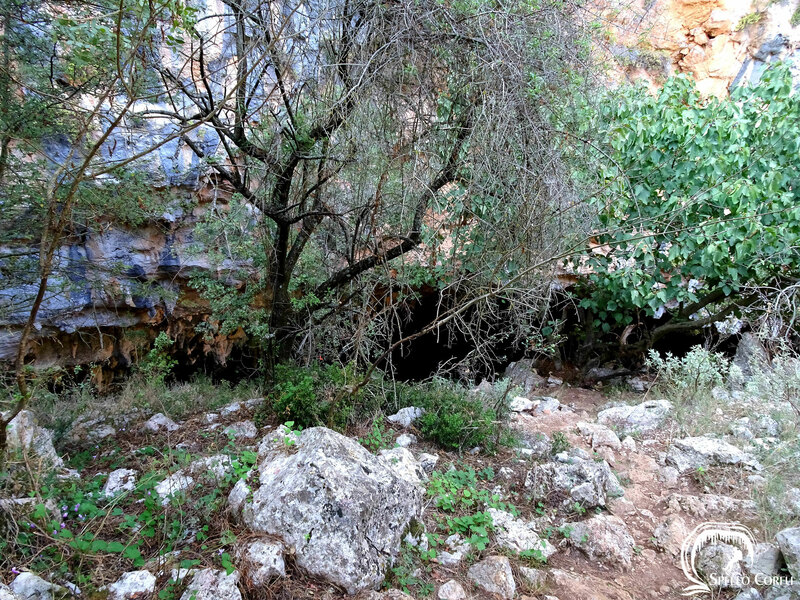 The cave was studied and mapped on April 15, 1969. 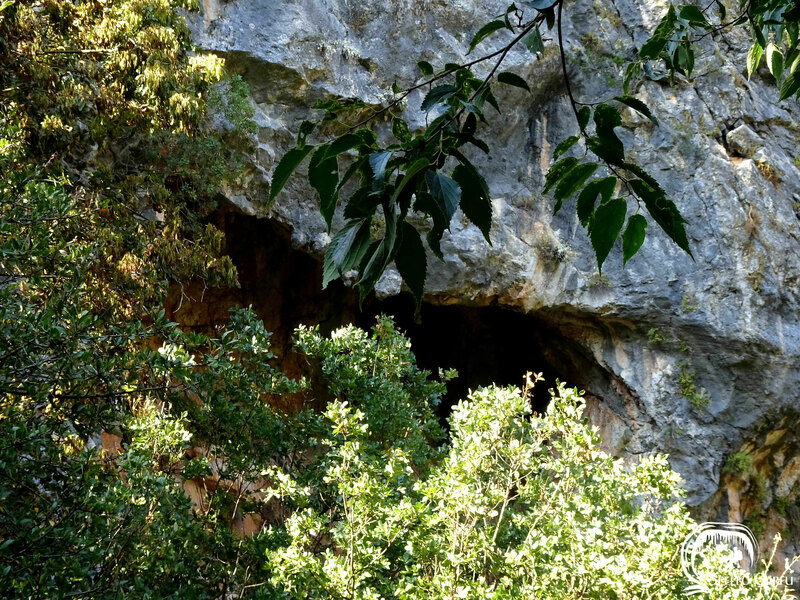 Since 1969 the cave has been studied several times. Research by Professor Dr. G.E. Theodorou in 1997 revealed ceramic pieces and a Byzantine coin. 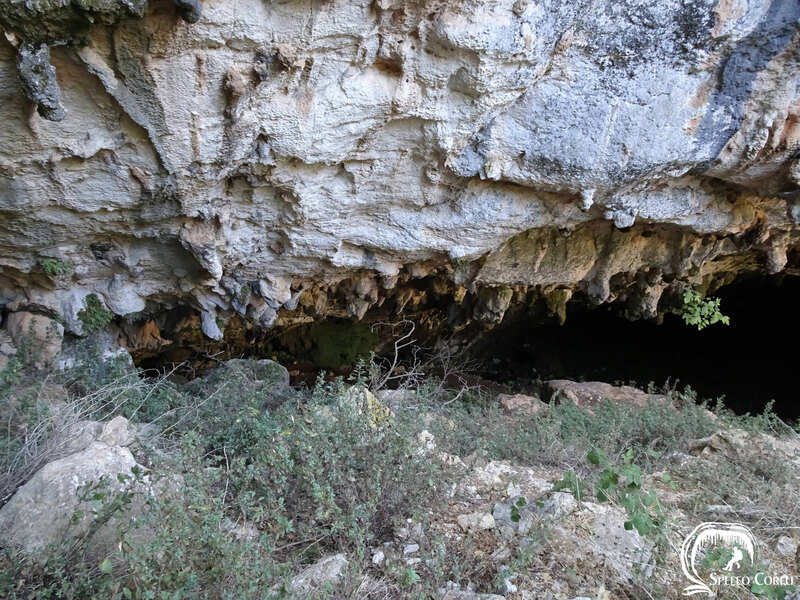 Until now there is no scientific proof of any connection between Megali (Ano) Grava Loutson cave and Mikri (Kato) Grava Loutson cave. 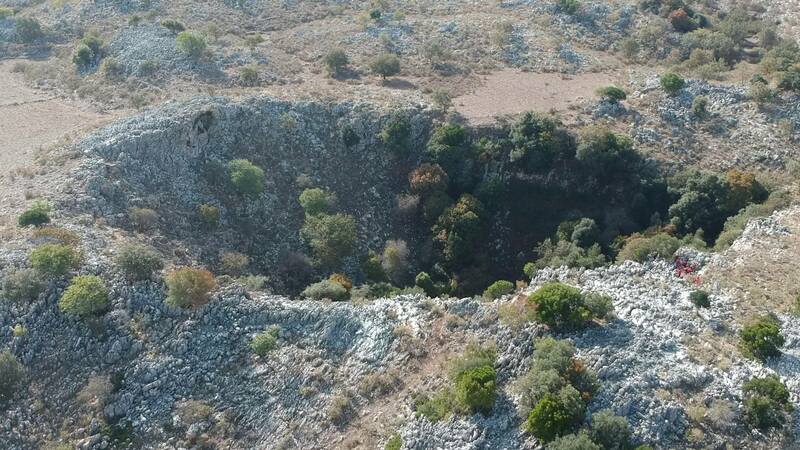 Persistent rumours state there is a deep ground water well ('pigadi') connecting Megali Grava Loutson cave with Mikri Grava Loutson cave. 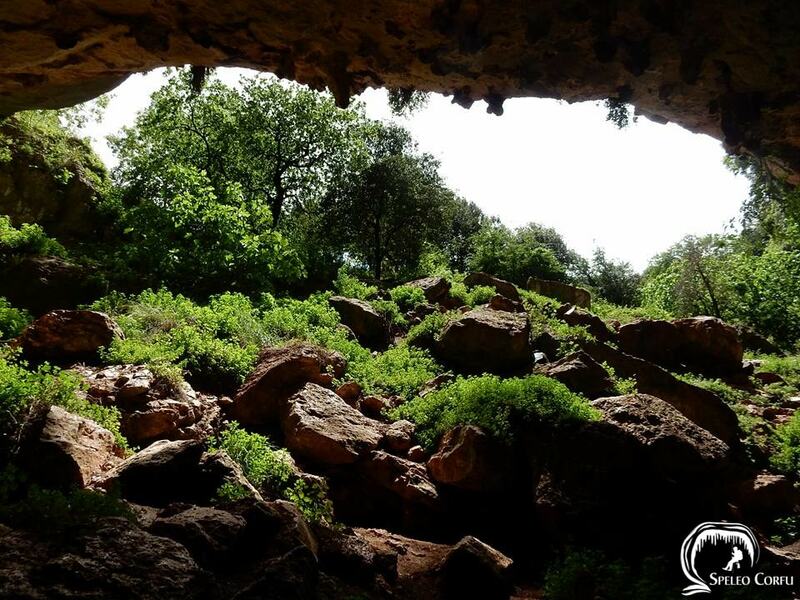 A story has been told that sheep sometimes disappear in one cave and that they appear in the other cave because of a mysterious connection between both caves. 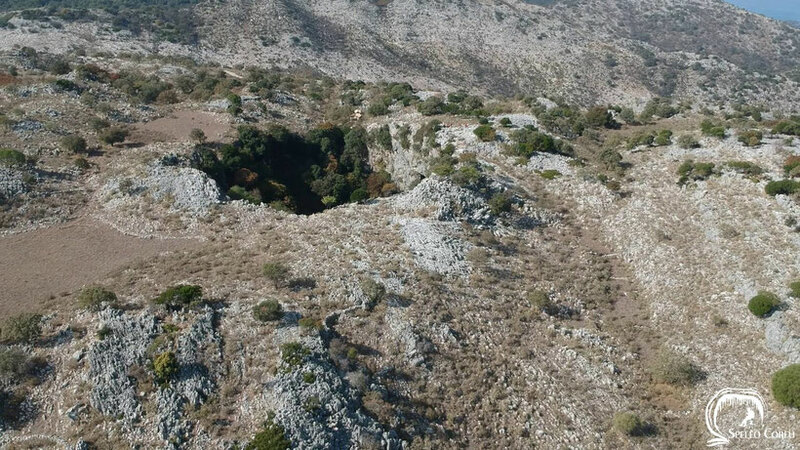 The existence of a connection between both caves is not confirmed through scientific evidence. 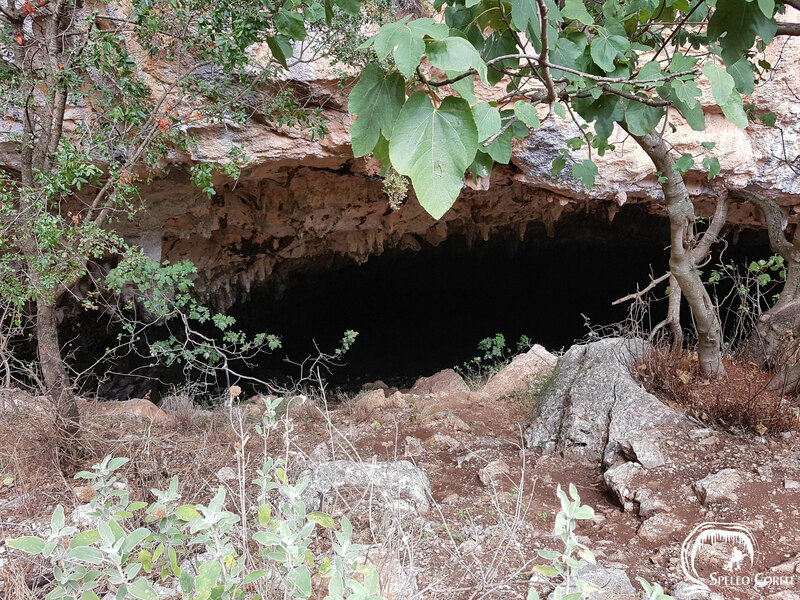 Neither has it been discovered during the inspection of both caves in 2017 and 2018. 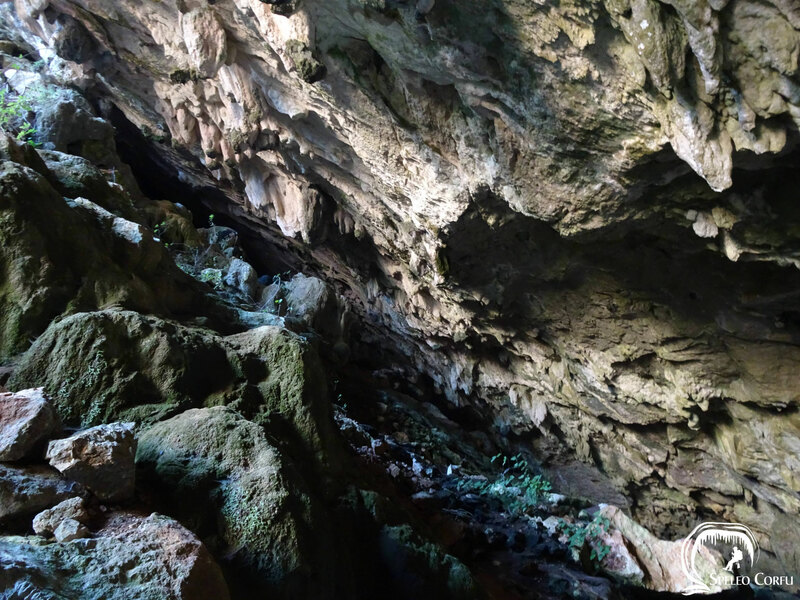 A different story tells that - somewhere in the centre of the main room, where the dome touches the ground - there used to be a big hole channeling to a smaller chamber and another hole, only passable by smalls animals, like fox. 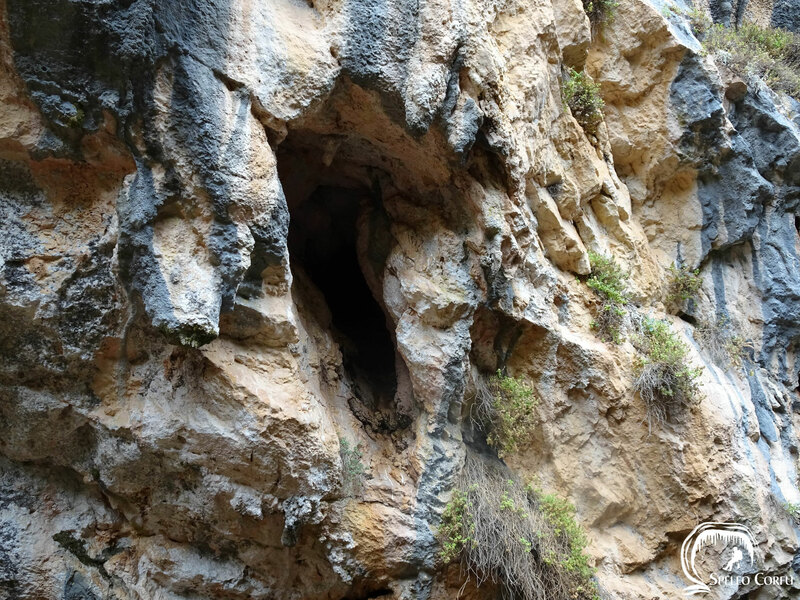 In his report of 2000 Professor Theodorou writes that according to local shepherds there is a deep well in the main room of the cave which is now covered with stones. 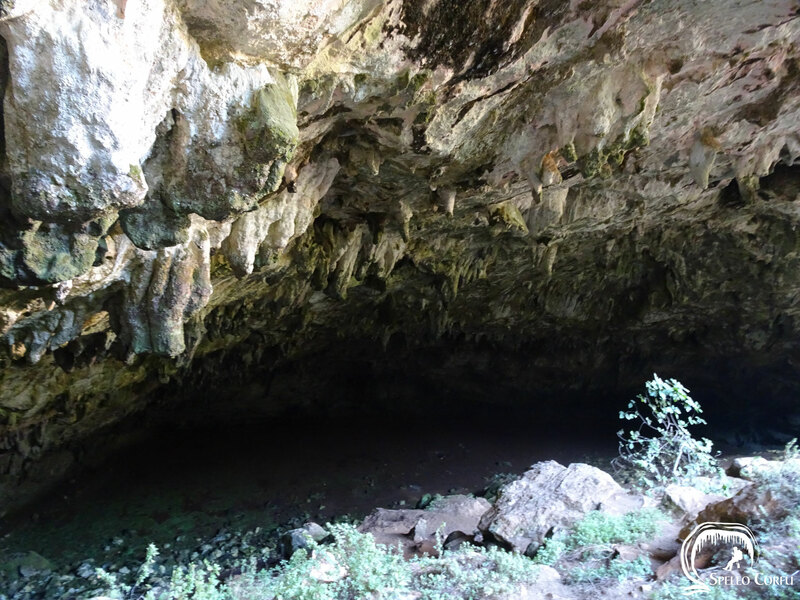 In 1985 cave crickets were found in the Megali Grava Loutson cave by F. Gasparo. One cave cricket was examined and specified as a Corfu cave cricket (Dolichopoda steriotisi Boudou-Saltet, 1972). 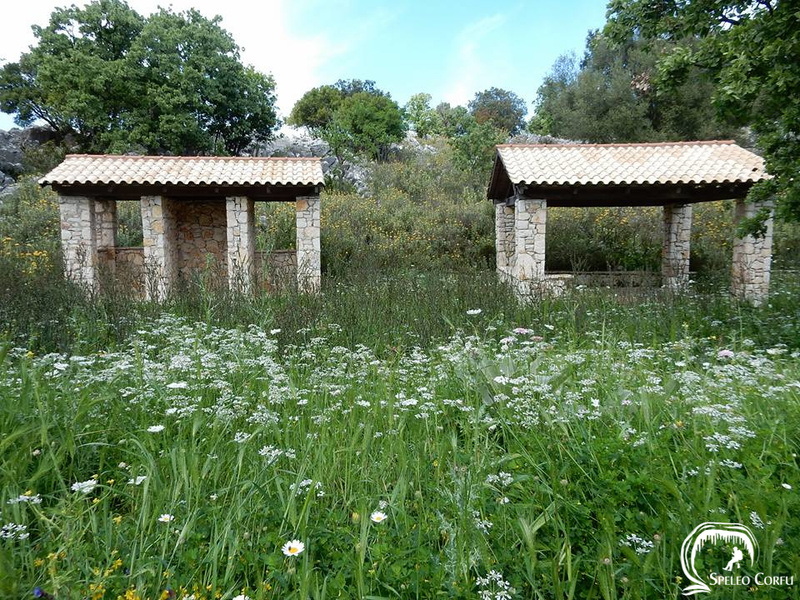 The Corfu cave cricket is an endemic Greek species and found only on the Ioanian Island of Corfu in the Peristerotripa cave in Sokraki (1970), in the Anthropograva cave in Klimatia (1980, 1987, 1988 by M. Rampini and in 2006 by C. Di Russo). 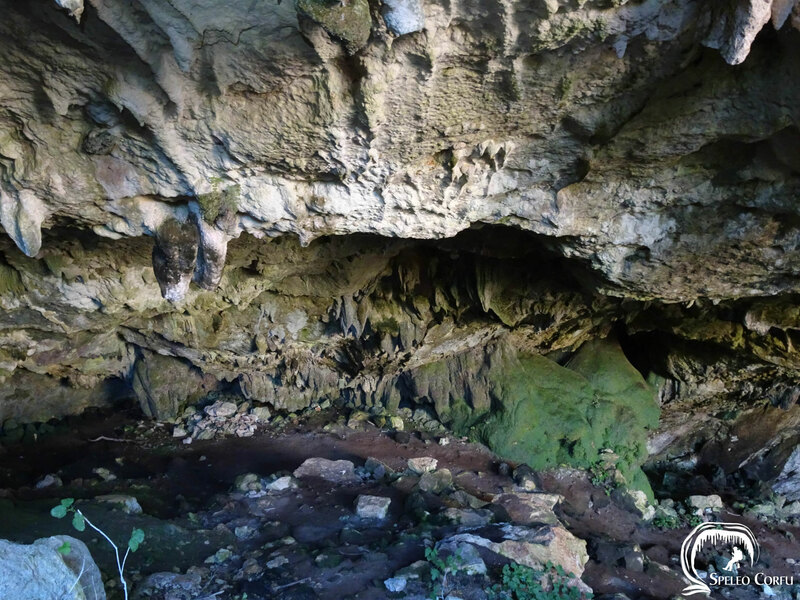 In 2018 cave crickets were spotted in the Anthropograva cave in Klimatia, in the Kaminaki cave in Kaminaki, in the first cave in the place Giorga in Nimfes and in the Alepotripa cave in Platonas. 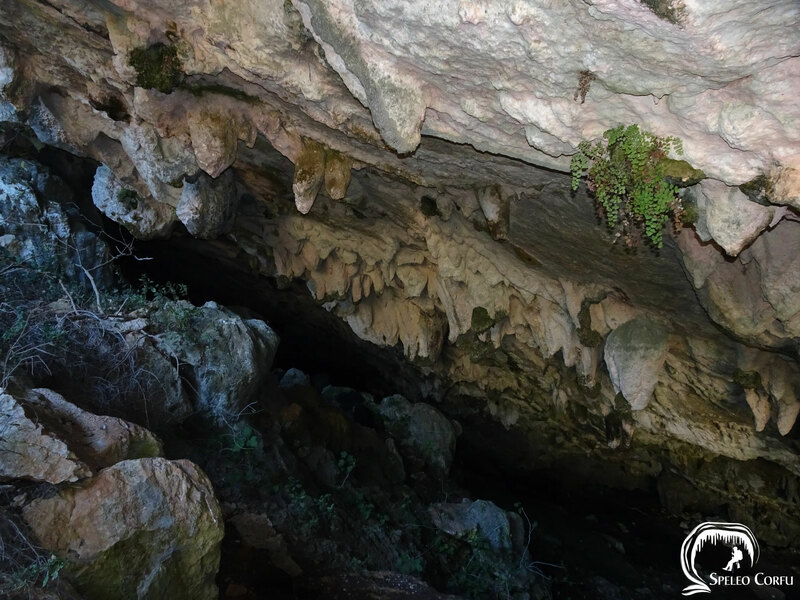 In the Megali Grava Loutson cave no cave crickets were found. 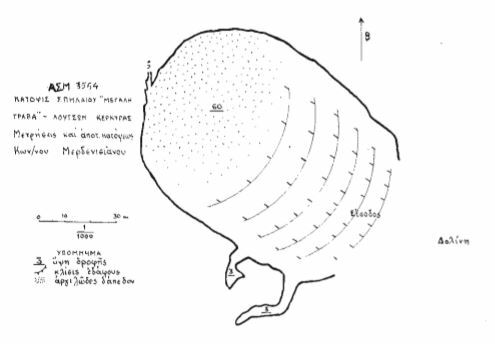 Cave record Hellenic Speleological Society ΑΣΜ ΕΣΕ 3554. 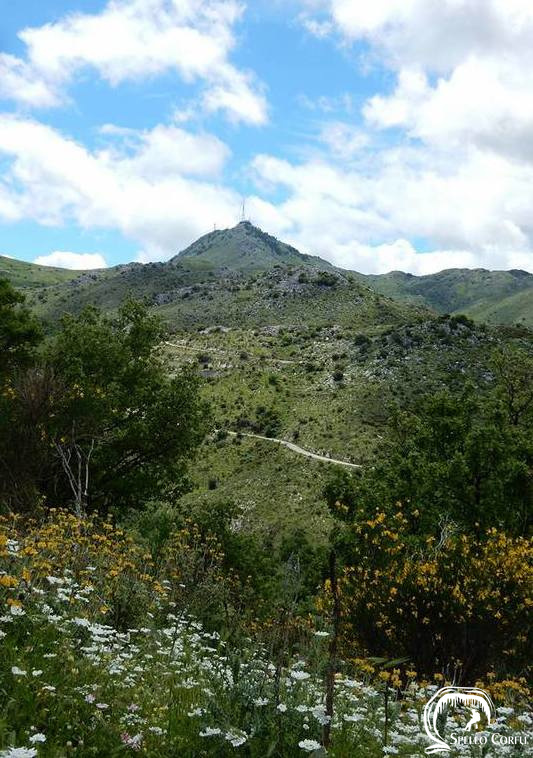 Russo di C., Rampini M. & Cobolli M. The cave crickets of Greece: a contribution to the study of Southern Balkan Rhaphidophoridae diversity (Orthoptera), with the description of a new species of Troglophilus Krauss, 1879. Biodiversity Journal, 2014, 5 (3): p. 397 - 420. Θεοδώρου Γ. (2000) - Πρώτα αποτελέσματα των ανασκαφών στο σπήλαιο Μεγάλη Γράβα Λουτσών (Δήμος Θιναλίων, Βόρεια Κέρκυρα) Ελλάδα, Δελτίο της Ελληνικής Σπηλαιολογικής Εταιρείας, τόμος 22, τεύχ. 1: σ. 53 - 70. 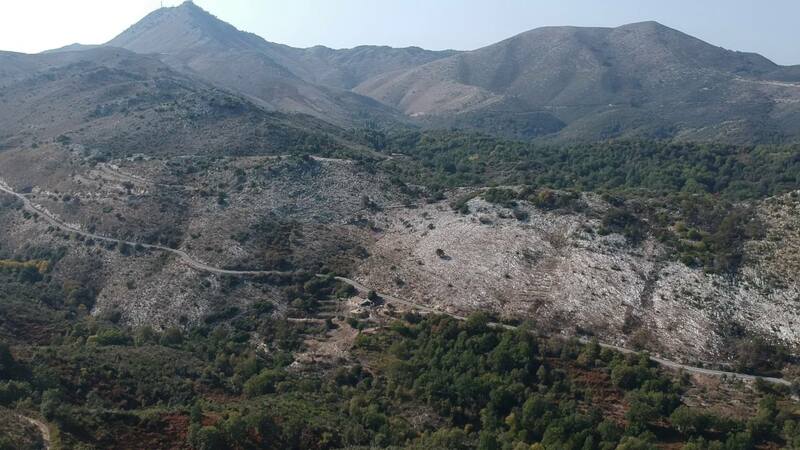 Θεοδώρου Γ. σε συνεργασία με Ρουσιάκη Σ., Κίρδη Σ., Λαμπροπούλου Γ., Υψηλάντη Ε., Δημητρακόπουλου Λ. και Πλέσσια Π., (2000) - Παρατηρήσεις σε σπήλαια της βόρειας Κέρκυρας, Δελτίο της Ελληνικής Σπηλαιολογικής Εταιρείας, τόμος 22, τεύχ. 1: σ. 71 - 84. Μερδενισιάνος Κ. (1969) - Σπήλαιον Μεγάλη Γράβα Λουτσών Κέρκυρας, Δελτίο της Ελληνικής Σπηλαιολογικής Εταιρείας, τόμος 10, τεύχ. 3 - 4: σ. 102 - 104. Μπουνιάς Ιωάννης, Κερκυραϊκά Ιστορία - Λαογραφία, τόμος Α΄, Αθήνα 1954, σ. 62 - 63.